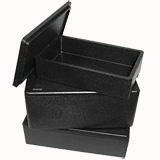 A great value, high quality polystyrene box in a wide range of sizes! 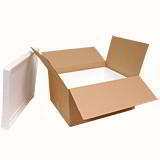 Our new range of insulation boxes are made from expanded polystyrene (EPS). These cooler boxes have very high insulating properties that makes them ideal for temperature controlled packaging and ideal for use in the catering industry and transportation of medical supplies. As these polystyrene boxes are made from 98% air and just 2% Styrene not only are they extremely lightweight but they are highly resource efficient and sustainable. These boxes are available in a range of sizes from 5 litres to 42 litres (1.5kg to 20kg). Delivered within three to five working days. Stacks easily and neatly together. 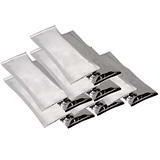 Safe for food contact safe and ideal for transporting fish, meat & cheese.